There are currently 2 users and 1085 guests online. That's a good pickup , great markings. Long point? He says strong southerly , so he must have been facing north , and beat the crowds , I guess ammo jetty. 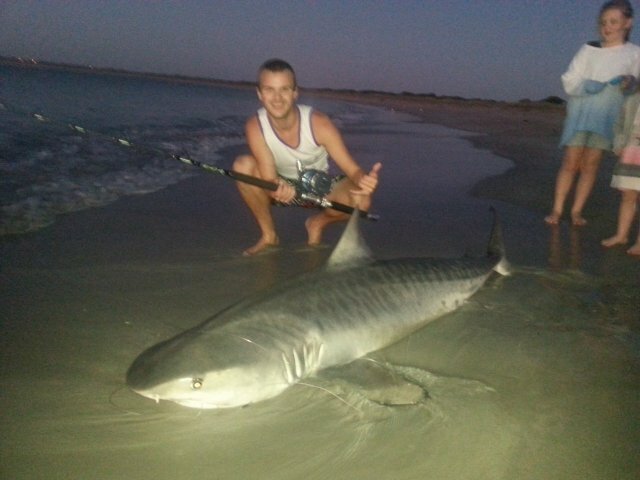 Top Catch for off the beach champ! long time no see Luke, I take it the fishing has been good lately.? did you pick that one up local? looks pretty healthy. This just shows what all those who like to take a late night dip are swimming with. Great markings how did it go on the release, or is it now in the freezer.